This feature first appeared in the February 2011 issue of Marketing magazine. Teen wizards, strong men in spandex, and talking cartoon animals have made Warner Bros the biggest film company in the biz. Brendan Lawley discovers that the values of Jack Warner, one of the founding brothers, of placing business before brand loyalty is keeping the superbrand on top. What is your first thought when you think of Warner Bros? Stop a second, look away from the magazine and think about it. What does it mean to you? That’s a question I ask a lot when putting this feature together. The responses are wildly varied; the same one never repeated. People say “movies”, “Looney Tunes”, “superheroes”, and even “that logo with the bats flying out of it or something at the start of Harry Potter”. Warner Bros instantly means a lot of different things to different people, but as one holistic ‘superbrand’, does Warner Bros mean anything at all? It becomes clear, pretty quickly, that the sprawling personal reactions to the brand exist for a reason: Warner Bros has its fingers in a whole lot of pies, and isn’t about to mash them together. And the deliberate lack of cohesion shows in brand awareness. At time of writing, Warner Bros has 170,000 fans on Facebook. Disney has 15 million. Disney’s site is entertaining, attractive, interactive and focuses on the brand’s stable of characters, by combining all the old legends like Mickey and Snow White with new favourites like Buzz Lightyear and Nemo on the one page. Warner Bros’ page tells its fans when and where they can buy stuff. Surely as an immersive, complete brand, Disney wins. If you count up Warner Bros properties, however, it begins to look a lot better for our superbrand. Batman: The Dark Knight has five million fans, Superman in his various guises has about four million, and cinematic Harry Potter has a whopping 12 million Facebook fans. The Warner Bros brand is obviously very strong, it just doesn’t market itself as one brand; it’s the house of brands rather than the branded house. The positive effect of this approach has been freedom to be involved in just about any project. Disney has a lot of subsidiaries, but it couldn’t put its name behind the bitchy Tyra Banks Show, or make an MA rated version of Batman. Warner Bros can do both. And it won’t do any damage, because no one knows exactly what Warner Bros is. This won’t stop me from trying to find out, though, and I start to learn about Warner Bros’ focus in Australia when I meet with Warner Bros Australia’s head of consumer products, Preston Kevin Lewis. Five years ago, Warner Bros couldn’t decide if it was worth keeping a company office in Australia. Knowing that Village Roadshow handles its film promotion, I walk in to Warner Bros’ Carlton office wondering what it actually does there. But I leave with one word log-jammed in my middle ear: licensing. Licensing, licensing, licensing. Licensing is where the money is for Warner Bros in Australia. We’re sitting on couches in the middle of a room, walls adorned by hundreds of licensed Warner Bros’ products: Scooby Doo shampoo, Harry Potter figurines, Batman costumes, Superman deckchairs and a whole lot of other branded products spanning toys, vitamins, toothpaste and cereal. Manufacturers cut licensing deals with Warner Bros to make every one of these products. 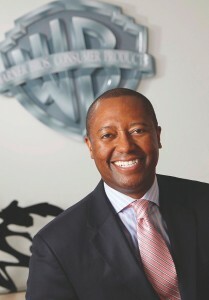 Lewis says Warner Bros has never operated its own merchandising because the operation would be too large, and take away from what the brand does best. Interviewing Lewis is the first time I’ve heard there’s a Green Lantern movie in the pipeline, but it certainly isn’t the last time someone involved with Warner Bros mentions it. Fittingly, some of WarnerBros’ strongest and oldest brands are its cast of superheroes. To have a successful licensing program, a film company needs popular movies and, if there’s anything Warner Bros does very well, it is big budget blockbusters. Warner Bros’ rivers of gold of the last decade, in particular, have been comic book remakes and adaptations, those from the DC Comics stable specifically. Heath Ledger’s last stand in Chris Nolan’s Batman: The Dark Knight helped Warner Bros score its biggest hit ever, with over $1 billion in worldwide box office gross. But it doesn’t end there for Batman. A film is only the very beginning of a brand for Warner Bros, and it is an expert at maintaining consumer engagement in such a product. And it’s true. Warner Bros is brilliant at keeping licences fresh. Despite not releasing any Superman film for years, there are still 10 hours of Superman animated programming running on Cartoon Network every week, along with teen drama Smallville. Batman also hooks up with Superman in animated shows DC Super Friends and Justice League, and has his own show in Batman: The Brave and the Bold. This kind of engagement keeps toys selling and licences renewing. That sort of engagement in an adult consumer hasn’t happened by accident, Lewis explains. There is very deliberate and comprehensive targeting of different markets, and character depictions are altered accordingly. Lewis whips out a comic book style guide and flicks through markedly different drawn versions of Batman. The greatest difference can be seen between a gritty, noir Batman, compared to the bright, straight lined cute ‘kid-appropriate Batman’. “What a licensee would want to have to be appropriate for that kid six-to-eight would drive a lot of the styling,” Lewis says, pointing to the kiddie Batman. “However, if you wanted to get a creative execution that was more appropriate for an older demographic, then you would go a little bit different. You would treat it differently in terms of what that t-shirt looks like. As an example [gritty Batman] on a t-shirt is not appropriate for that eight-year-old, but it means that Batman can play to the 16-year-old guy that wants a little bit of edge”. I notice a rack in the licence room of ‘Supergirl’ products. Hats, thongs, shorts… all in that cutesy, colourful, slightly jagged style that brands like Roxy have had a lot of success with among young girls. Apparently there is a character called Supergirl, one I didn’t know existed, but it’s now doing good business for Warner Bros as what Lewis calls a “fashion statement” brand separate from the character. A Warner Bros press release for a licensing show calls the Supergirl S-shield an “unmatched and universal symbol of independence and empowerment for today’s girl”. If you can say that a piece of cloth is doing such incredible things, you know confidence is high at Warner Bros.
And confidence is certainly high about Green Lantern. Or maybe the every-second-sentence-reference to the 2011 film from everyone I speak to involved with Warner Bros represents a grave fear that it could tank. On the face of it, it looks dangerous… Green Lantern has never been a film, it doesn’t have much resonance with key youth audiences as a brand, there have been a glut of comic book adaptations in the last decade, and it stars an unproven action actor in former teen comedy prankster Ryan Reynolds. But Warner Bros knows how to make a product sell, and it may be that consumer products will be the bigger revenue stream for Green Lantern. 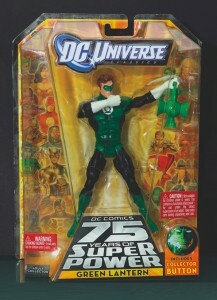 “It’s very toyetic,” Mattel’s Steve Totzke says of Green Lantern. Warner Bros has got the formula for making movies that sell licences down pat: Green Lantern – toyetic, The Great Gatsby – probably not toyetic. But what would the original Warner Brothers think of the big budget superhero films of today and the focus on licensing? They’d be damn happy – especially Jack Warner – because it makes a lot of money. Jack would probably be especially happy about the way the business is run too. Like many huge and successful companies, communication with the representatives for this feature is a tedious process demanding clearance from many levels of bureaucracy. The problem with Warner Bros, though, if we’re to believe Lewis’ PR rep’s doodled hierarchy diagram, is that it’s made the bureaucracy so complicated and global, that speaking with almost anyone who is allowed to speak on behalf of Warner Bros takes months. It doesn’t seem like a particularly clever way to run a business, but it’s doubtful Warner Bros particularly cares. It is in a pretty good place. It’s called the top. It’s the global number one company in box office sales, DVD sales, TV production and theatrical production. And it’s pretty damn toyetic. Times are good for WB, but much of the company’s history was built on a knife-edge, swimming one year in rivers of money, then drowning the next on the verge of bankruptcy. Innovation and, of course, that sort of iron fist control that prevents me from getting candid interviews. That control runs back to the apparently maniacal Jack Warner.The films always saved Warner Bros, though, from the first ‘talking pictures’ The Jazz Singer and Lights of New York to the first talking colour pictures On With the Show! and Gold Diggers of Broadway. These films helped stop the burgeoning empire crumbling through the Great Depression, and it is clear that innovation is what has made Warner Bros the mega movie power it is. Ironically, the only tell-it-like-it-is slab of information I get is an official history of Warner Bros handed to me by the PR. It’s a salacious tale of deaths, bribes, court cases, crims and betrayals. But the story of the Warner Brothers still ticks off the check-list of the great American dream. Born to poor Polish immigrants, brothers Jack, Abe, Harry and Sam founded a film company in 1905, which would go on to sit on the cusp of just about every major change in cinema for the next century. Warner Bros made that first ‘talkie’ and the first Hollywood musical. It made the 1930s the era of the grimy gangster film and the escapist musical, and even recently was integral in the Blu-ray disc making HD-DVD obsolete. After close brother Sam Warner died, Jack became the sole head of production and began a brilliant decline into megalomania. 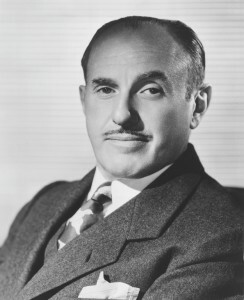 “He ran the studio with an iron fist,” reads the history, “firing of studio employees soon became his trademark.” Jack fired top star Douglas Fairbanks; he fired Bryan Foy, a very profitable B film studio producer no fewer than seven times; Jack even fired a dog, Rin Tin Tin, who he once called ‘The Mortgage Lifter’ because of his successful films. Bette Davis and Humphrey Bogart hated him and tried to get out of their contracts. Jack also fell out with the Screen Actors Guild, because he wouldn’t pay minimum wage. James Cagney was just one of many stars to sue him. Olivia de Havilland was another: she sued because she was being loaned out to other studios in breach of contract. Jack responded by sending 150 telegrams to production companies warning them not to hire her. De Havilland won the case, though, in a landmark decision, freeing other long-time actors who had been held longer than the contract limit of seven years. An image comes to mind of actors scurrying out of the Warner Bros studio in Burbank, California like rats free from a cage. Jack sounds completely crazy, but was clearly a virtuoso at what he wanted to do: make money. The company he left behind still is. And few characters are dropping more cash into the kitty than a short, bespectacled, English nerd who likes to play with a stick. He’s right. The common belief is that there will not be any more Harry Potter feature films after Harry Potter and the Deathly Hallows Part II. But Lewis reckons Warner Bros has got it figured out, and will achieve what it has with Batman, Superman and Scooby Doo, and create a sustainable legacy for content and licensing. Warner Bros milks its cash cows until they’re dry, and then it keeps milking them. And who wouldn’t, when it works so well? “I think what that speaks to more than anything,” Lewis says of maintaining character brand engagement, “is really the heritage that people have with the brands, because everybody knows Superman, everyone knows Batman, everyone knows Looney Tunes. It’s bright advice, and it’s clear that whatever Warner Bros does with Harry Potter – be it animation, 3D or video games – it knows what it’s doing, and it’s not going to let the magic die easily. Its commitment to the brand was set in stone with the creation of the ‘Wizarding World of Harry Potter’ theme park in Orlando, Florida, which opened this year and recreates the fantasy world from the films. Despite its genius, however, Warner Bros has certainly made mistakes in the past, and has sometimes put offside the most important people of all: the fans. In 2008, Warner Bros pushed back the release date of the sixth Harry Potter movie until the following July. Warner Bros president and CEO Alan Horn said the decision was purely financial. “There were no delays,” he said at the time. “I’ve seen the movie. It is fabulous. We would have been perfectly able to have it out in November. These comments drew a big online backlash from fans. A lot of angry emails were sent Warner Bros’ way, and a storm kicked up in the comments section of many a page where the story was reported. Horn took notice and later issued a bizarre, slight apology, saying that at least the delay meant there would be a shorter gap between the sixth and seventh films. It’s the kind of action and response one might assume Jack Warner would be proud of. A decision based on making money, and being almost non-apologetic about it, and still knowing that the product is so good that fans won’t be lost over it. Perhaps this storm in a teacup is the reason Warner Bros has a marathon turnaround on clearing interviews, however, because it doesn’t want to stuff up again. It’s a worrying sign for a brand built on taking chances. It sets up a constrained culture, a ‘step here, not there’ attitude. Don’t take a chance, because you may fail. I’m talking to a colleague one morning in the office; he’s wearing a Mickey Mouse jumper. “Why aren’t you wearing a Bugs Bunny jumper?” I ask him. “On a cereal box,” I say. A Coles home brand cereal box to be precise. That licensing arrangement, which had Looney Tunes characters like Taz, Tweety and Daffy Duck plastered over a line of cereal boxes gave some rare visibility for the crew of cartoon characters Preston Kevin Lewis calls Warner Bros’ “crown jewel”. You can track the Looney Tunes back to the independent Harman and Ising studio in 1930. Former Disney animator Hugh Harman and Rudolf Ising produced a series of musical cartoons called Looney Tunes, featuring a black and white Mickey Mouse-like character, Bosko. The cartoons were sold to Warner Bros. Harman and Ising’s shorts moved on to MGM briefly, before gaining global popularity with Porky Pig for Warner Bros. Next, Daffy Duck and Bugs Bunny became huge cartoon stars and, before you could say “That’s all folks!”, the studio was bigger than Disney’s animated shorts unit. Warner Bros eventually bought out the studios completely, and the Looney Tunes cast of quirky characters finally created a recognisable Warner Bros brand identity. It wasn’t all smooth sailing for the Tunes, though. In the early 50s, after producing a 3D Bugs Bunny cartoon, Jack Warner ordered the animation unit to shut down. Jack thought he had discovered the future in 3D, but he soon realised he had to salvage the 2D studio. Luckily, Warner Bros had a backlog of old cartoons to use, so the release schedule wasn’t interrupted. Recent growth of the Looney Tunes brand in Australia is hard to pinpoint. Tweety Bird had that sort of strange, kitsch Betty Boop-like collector popularity earlier this decade, with just about every girl’s pencil case adorned by the little yellow bird. But other than ostensibly consumer-driven revivals of the brand, the Looney Tunes have laid dormant. Lewis says there has been a lot going on with the Looney Tunes recently, however, from the Bugs Bunny Symphony via ice-skating shows to theatre performances, and the cast is becoming a bigger priority every day. Lewis says a new Looney Tunes television show will debut in Australia next year, and cinema goers are welcoming the return of the Warner Bros short animation film. New shorts have been created and were screened at Village Cinemas across Australia before recent family films Cats and Dogs 2 and Legend of the Guardians: the Owls of Ga’Hoole, in a move that sets up a total Warner Bros film experience. 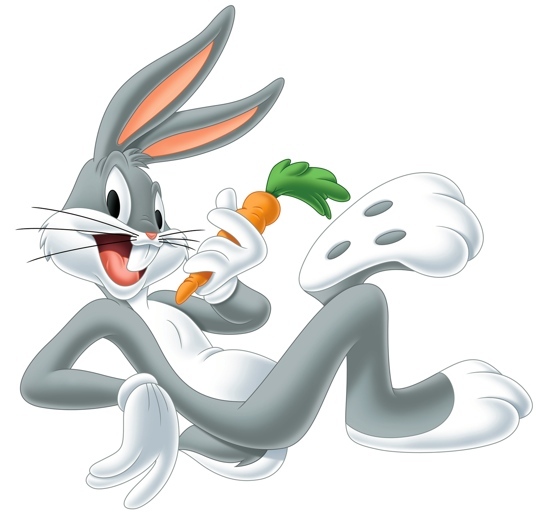 Looney Tunes has also generated a strong connection with food products, and not just cereal. It’s an area of licensing Warner Bros spends a lot of its energy getting right, Lewis says, and it makes sure the products it endorses, that are targeted at children, are nutritional. This good health marketing has been a massive part of Looney Tunes licensing recently. Warner Bros has even devised a new brand called Looney Tunes Active. A press release calls the characters “ambassadors of an active lifestyle for children”. Luckily for Warner Bros, being an ambassador for healthy living in today’s fast-food-is-evil climate involves scoring great vibes from consumers and making a whole lot of money. It has been a shrewd marketing move by the company, and has led to the brand being featured in thousands of North American Safeway stores as part of the ‘Eating Right Kids’ program, as well as Looney Tunes characters splashed across myriad non-junk food products. Even though there are a bundle of different characters, grouping all of the Looney Tunes in the one context still works. But add in Batman, Green Lantern and Harry Potter (even if he was a cartoon) to that collection, and it’s just a bit jarring. A recent television commercial for Intel featured just about every family Disney character, and it felt fine. Warner Bros lacks this cohesion in general, but Looney Tunes seems the one thing that keeps the whole company together as a marketable package. The great contradiction to this, of course, is Warner Bros’ biggest licence in Australia: the Village Roadshow-owned Warner Bros Movie World on the Gold Coast. Apart from Parque Warner in Spain, Australia’s Movie World is the only tangible representation of Warner Bros as a complete brand. In some sort of movie Utopia, giant Tweety Birds waddle about one side of the glistening streets, while Batman tackles a bank robber across the other side. If Warner Bros ever wanted to become a singular superbrand, it could learn a lot from Village Roadshow’s execution with the parl. Seeing the joy people get out of watching others in costume might be a good place to start as well. In my interviews, almost anyone at Warner Bros who mentions Green Lantern also mentions the superhero costume dress-up day in Melbourne. Warner Bros organised the event at Federation Square. The concept: dress up as your favourite superhero. Lewis says it set a new Guinness World Record for “most superheroes in the one place”. A lot of the costumes probably came from Rubie’s, the long-held official licensee for Warner Bros costuming. Rubie’s has a global deal with Warner Bros to produce just about every character that can be cut into cloth: Batman, Superman, Flintstones, Scooby Doo, Looney Tunes, the lot. When you think of a Tweety Bird costume, you may picture cute little kids flapping about and tripping over, but Rubie’s sales and marketing director Tony Bugg says this just isn’t the case anymore. Bugg estimates that Rubie’s sells 60 percent of stock to adults, and that Batman and Superman are the most popular pieces, in both adult and child markets. Personally, I can’t really imagine wearing a fantasy costume so often that it actually becomes threadbare, but what people do in the privacy of their own homes isn’t my business. Only, it isn’t in the home. It’s on the streets, it’s at parties, and the costume consumers are proud to be living fantasy lives as film characters. I chase down some photos of the event and they seem to tell the story of Warner Bros’ success. The majority of punters were dressed up as Superman, Batman or Wonder Woman, but clearly few of them cared that they were Warner Bros’ characters. The fact that Warner Bros didn’t market the event as ‘dress up as your favourite Warner Bros’ character shows both confidence that most people would turn up in WB-related garb anyway, and recognition that the Warner Bros brand is sprawling and many people don’t have a concept of it as a whole. My interview with Preston Kevin Lewis is fun. He is an electric personality; he bounces around the room and shows genuine excitement for his job. Steve Totzke really loves toys too, and Tony Bugg loves dressing up. They all love Warner Bros in their own way – Totzke and Bugg love the superheroes and Lewis clearly has a soft spot for Looney Tunes. But have I really got a handle on what Warner Bros is as a complete brand? Is a brand always the sum of its parts by default? If this is the case, Warner Bros would be the grandest of all brands. An absolute fantasy land of diverse creativity and freedom. But it’s not. Warner Bros is a brilliant collection of brands, and it’s brilliant at making money. The words ‘Warner Bros’ don’t send everyone into an idyllic, fantastical daydream. As a brand, it will never have that same childhood attachment of absolute adoration that Disney has conjured so perfectly. But, as a business, Warner Bros is almost perfect. From its marketing departments at least, it’s closed off, no secrets are going to get out. It’s committed to playing it safe, and it has been around long enough to know the best ways to achieve continued success. But that conservativeness might just come at the cost of attaining what could be a truly wondrous, creative culture across the whole brand. As I have got to know Warner Bros more and more, I feel its story colliding with that very non-toyetic title The Great Gatsby, a film Warner Bros would probably never make. With each forced reference to Green Lantern, each time I was told I couldn’t speak to a representative from the US (other huge brands can get clearance in days), each time I am asked to supply all of my questions prior to interview, the colossal significance of that green light of what I thought was Warner Bros, has slowly vanished forever. My count of enchanted objects has diminished by one. But the ghost of Jack Warner lives on, and ensures Warner Bros stays on track and on top. Warner Bros is the American dream completely realised, with all the highs and drawbacks. Warner Bros has got to where it wanted to be. It has achieved what it set out to, and its brands and characters have connected with billions of people. But as one brand, could it be even better?